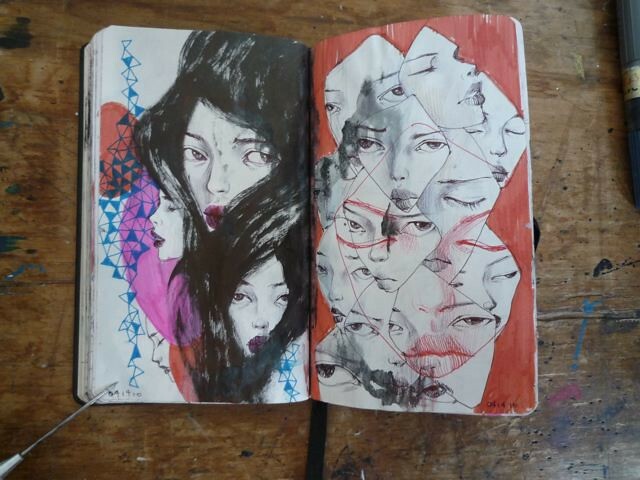 continuation from the last post. 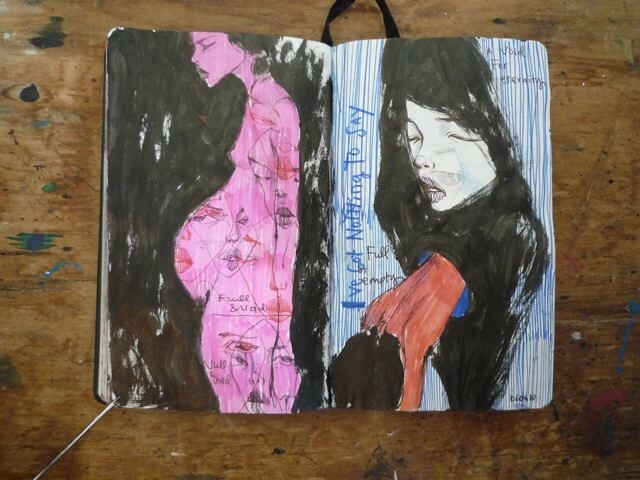 last pages of my 2nd leuchtturm sketchbook o' the year. 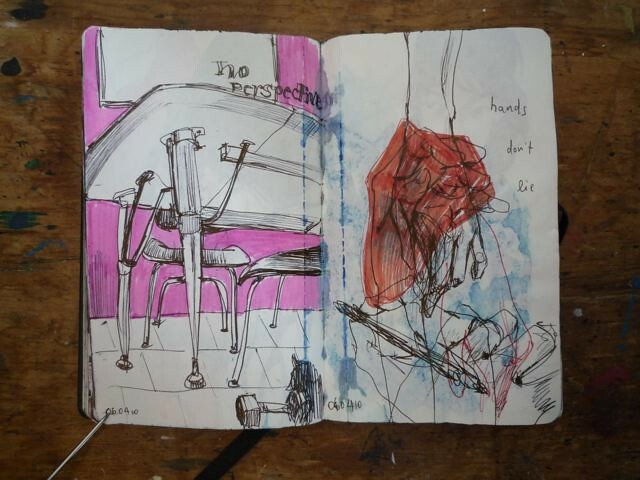 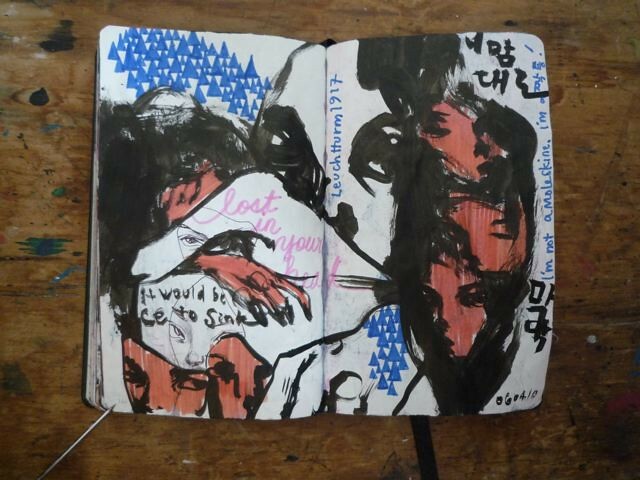 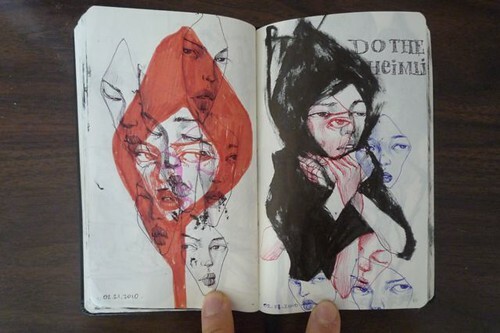 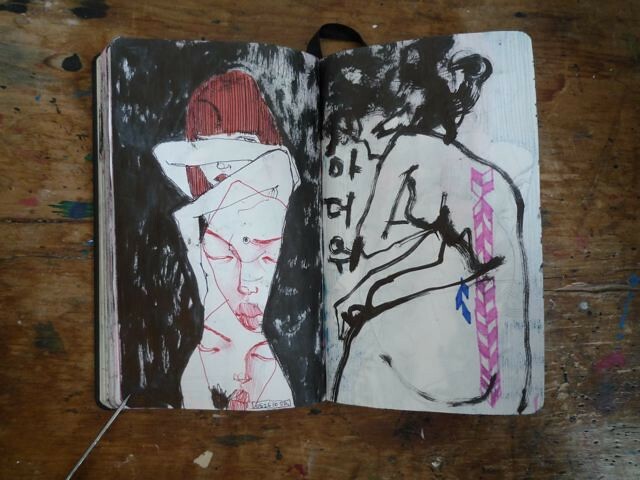 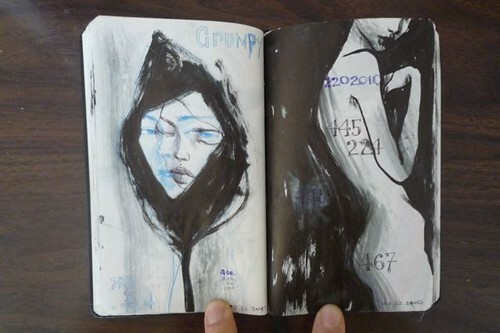 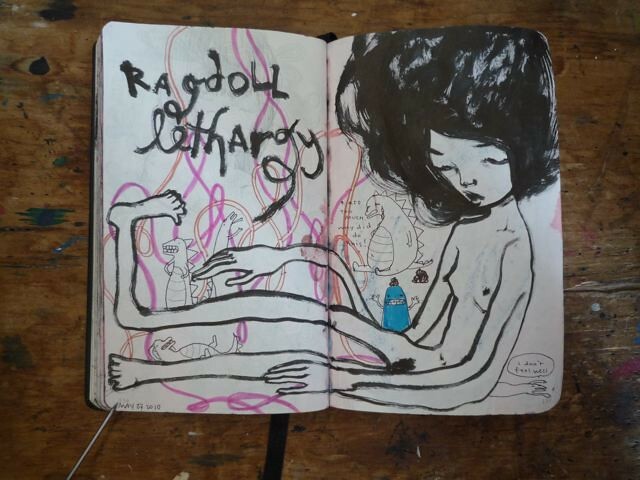 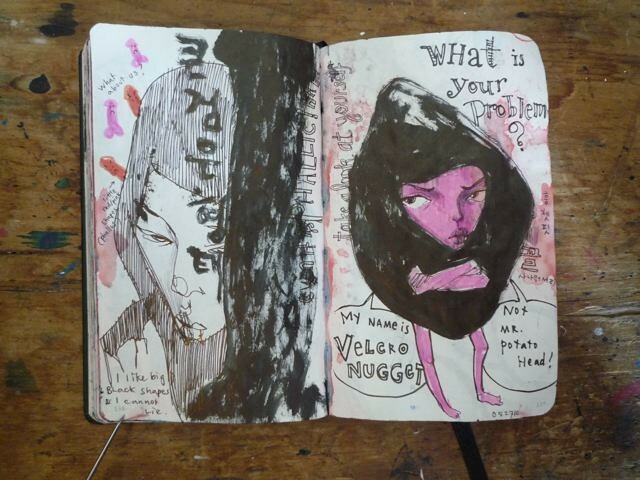 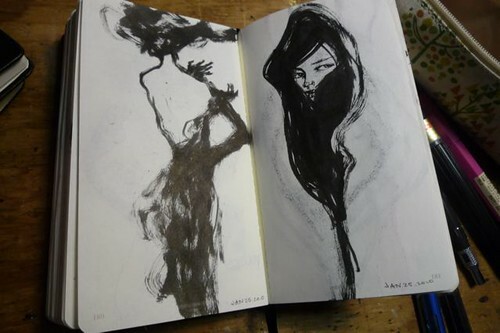 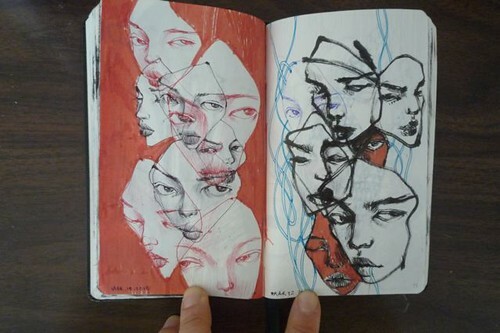 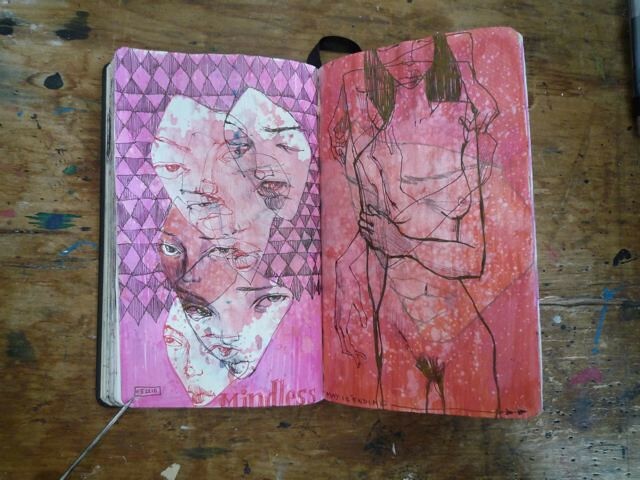 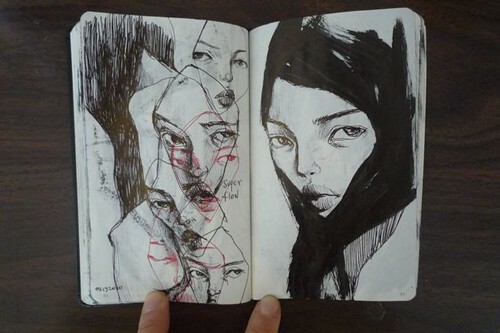 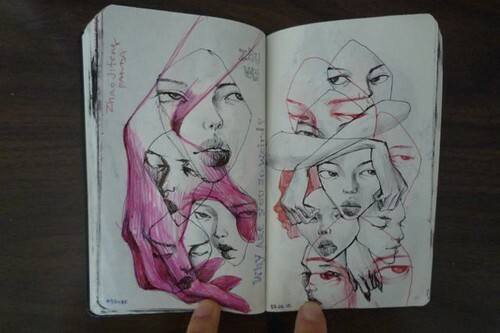 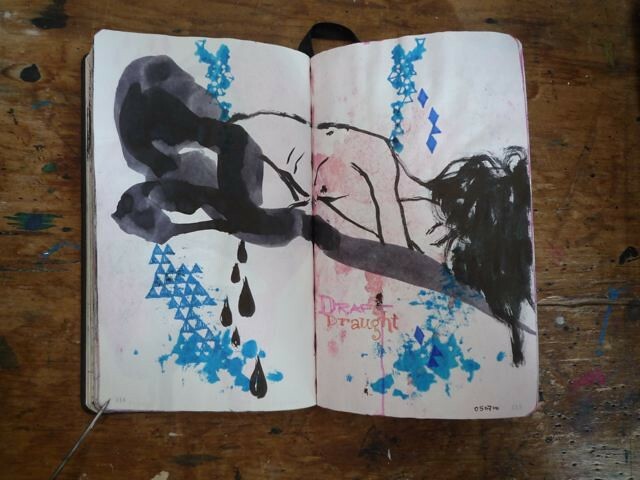 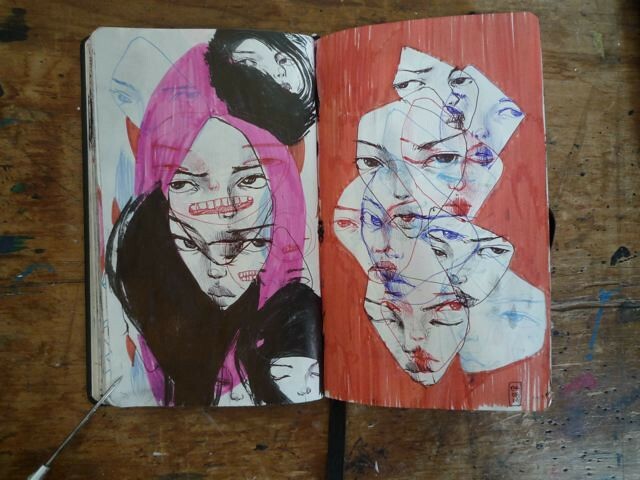 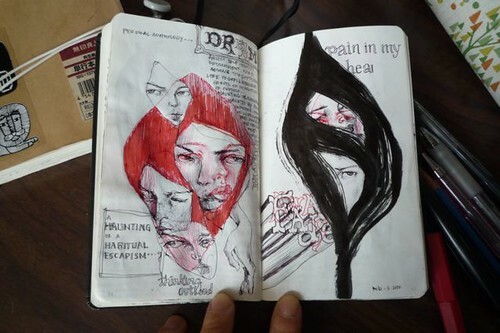 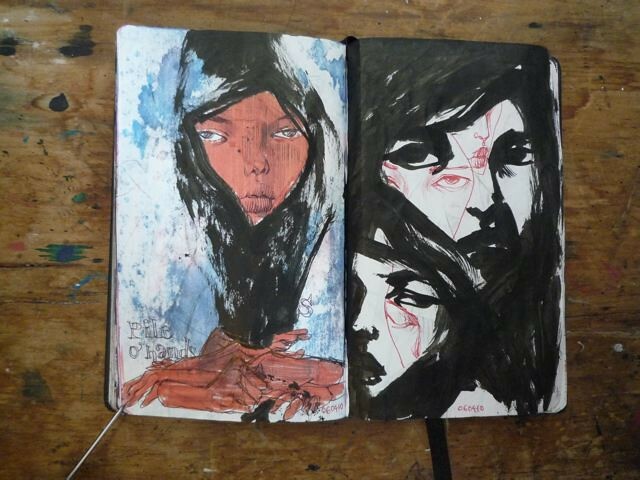 (see all previous sketchbook pages here). 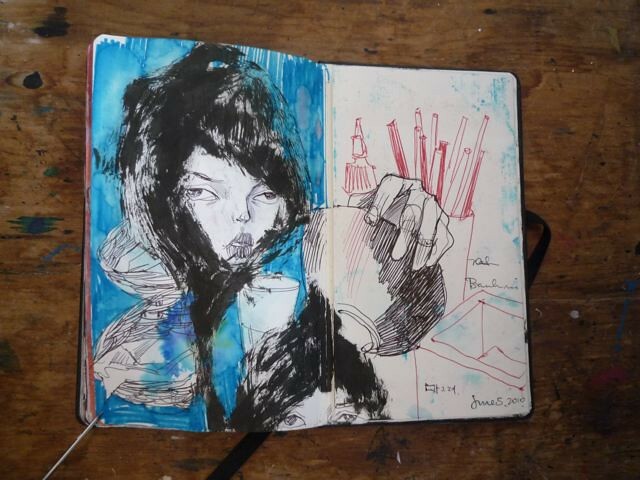 ballpoint, brushpen, ink, markers in Leuchtturm1917 sketchbook. 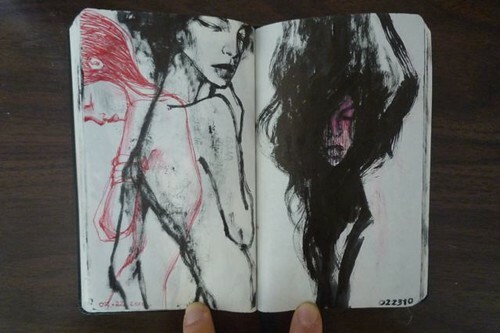 © stella im hultberg. 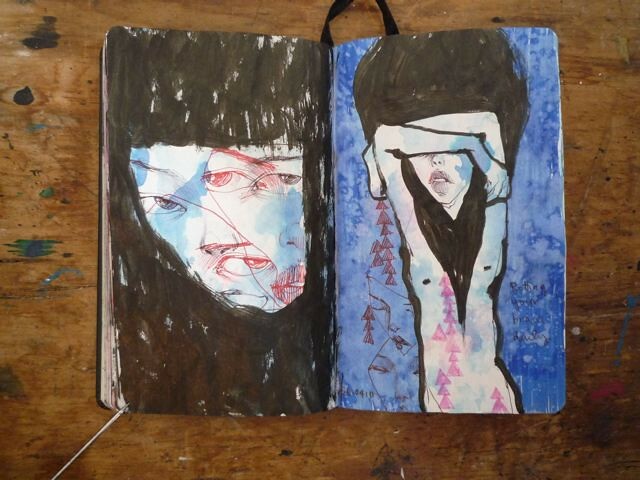 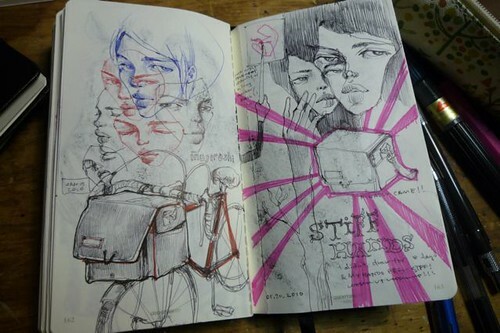 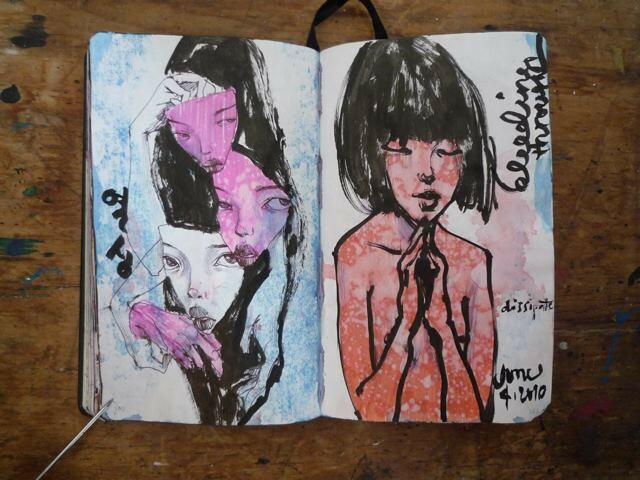 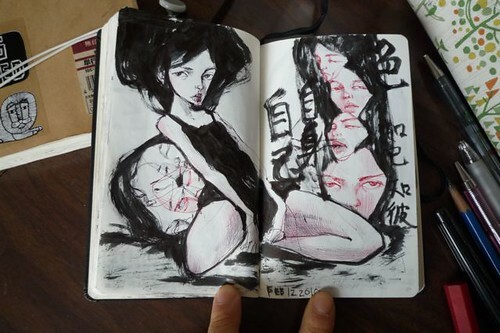 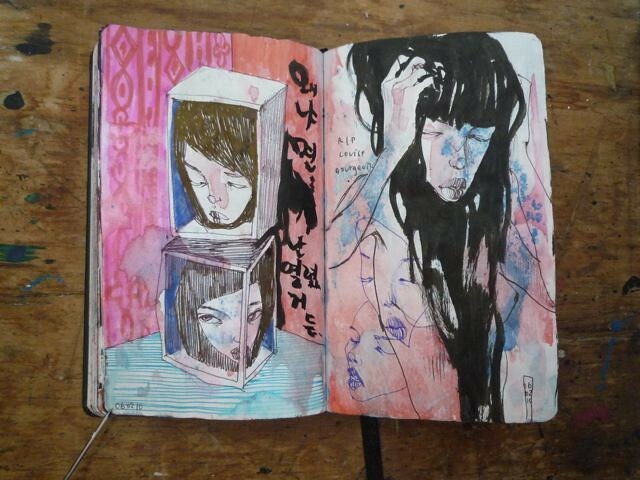 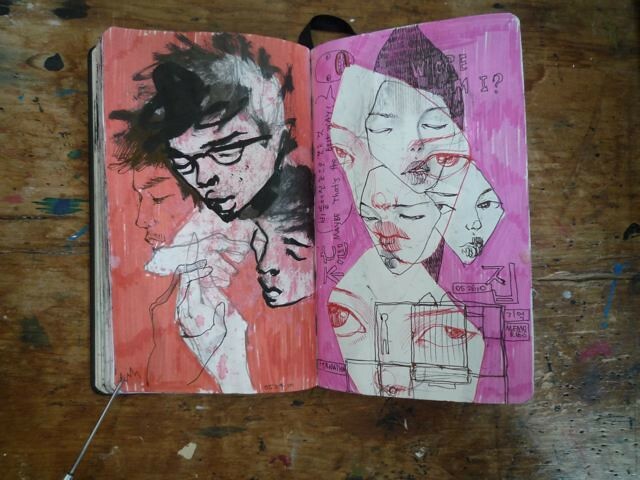 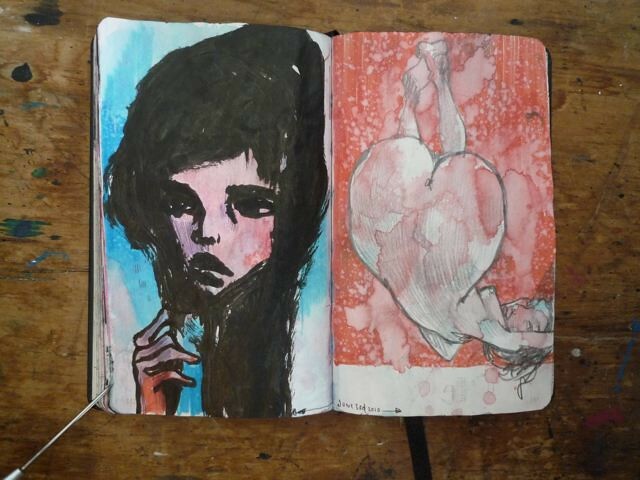 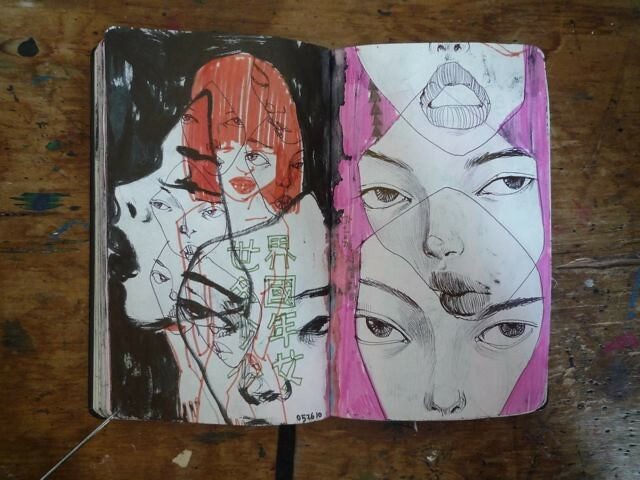 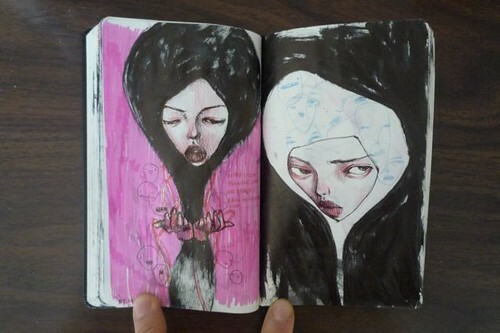 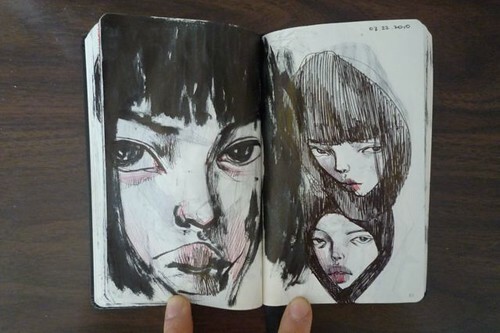 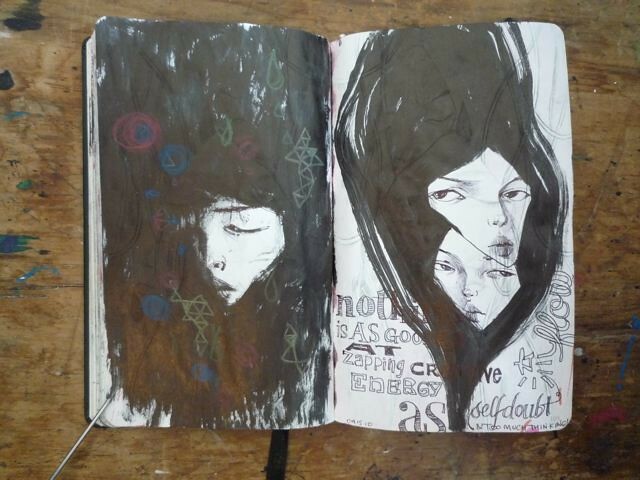 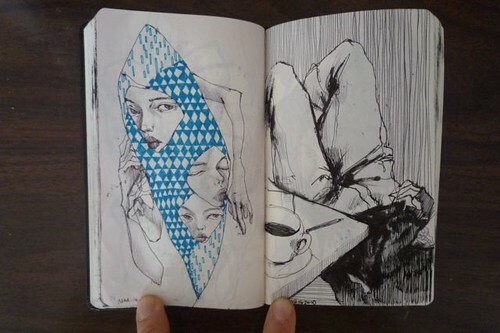 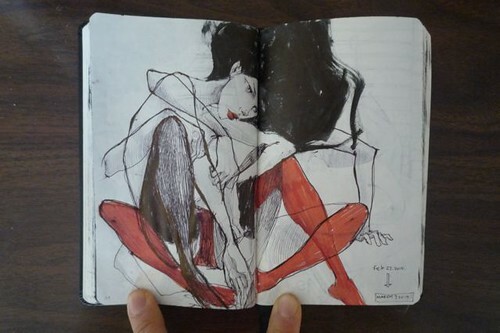 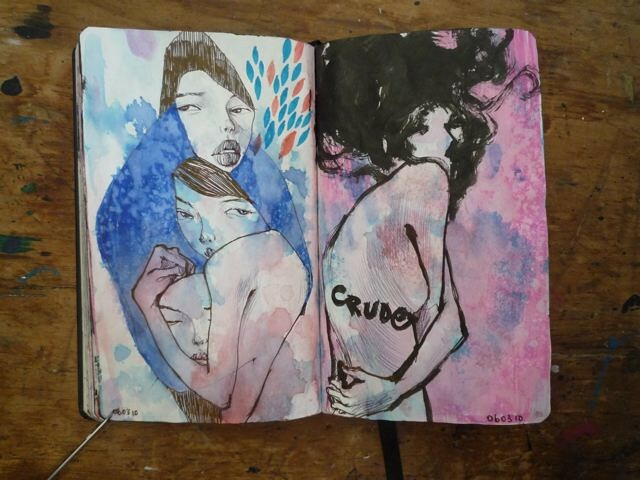 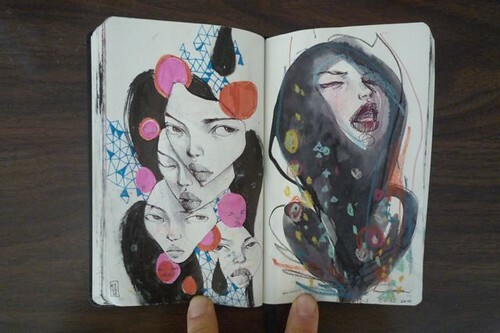 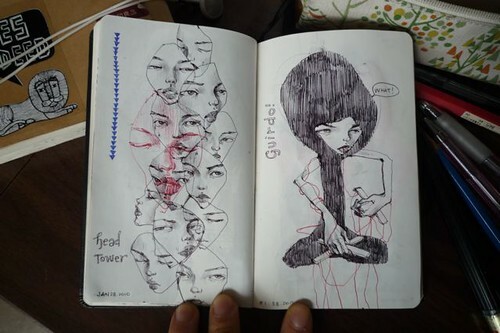 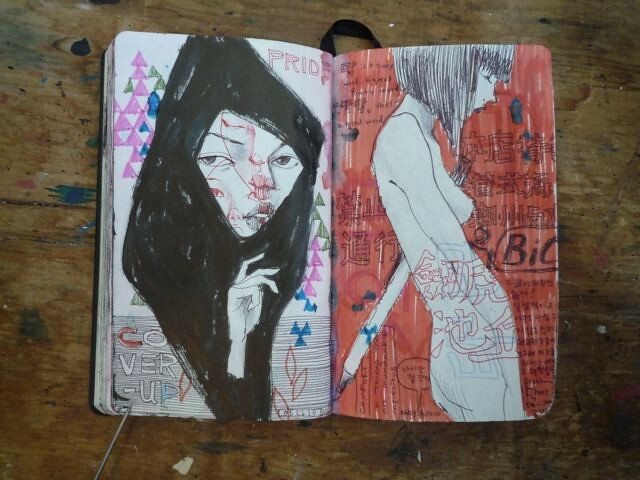 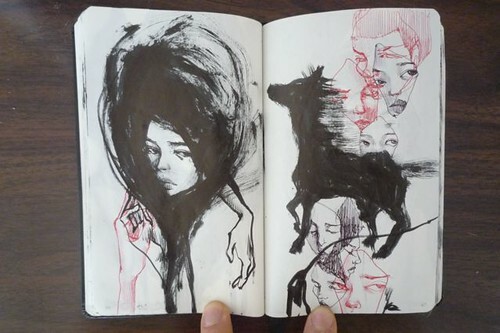 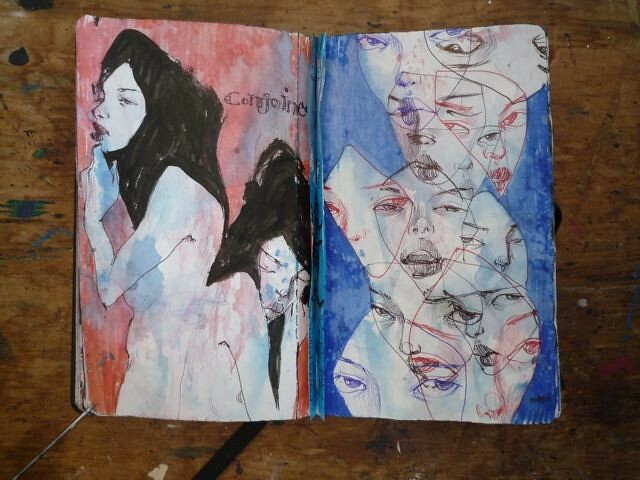 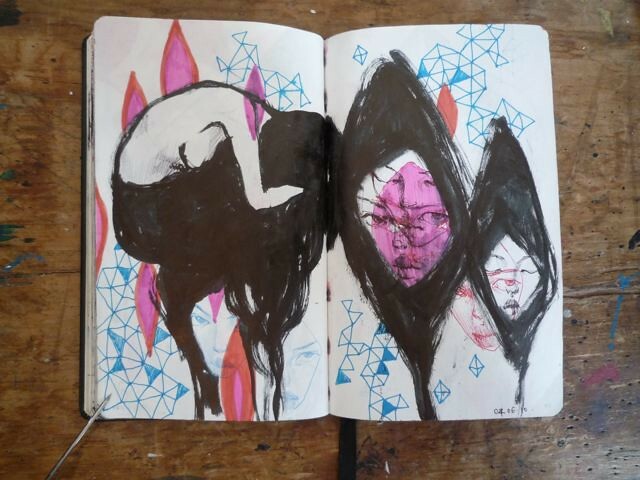 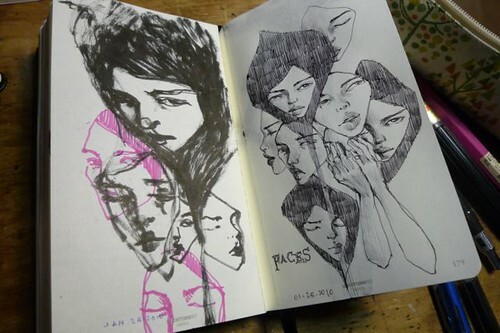 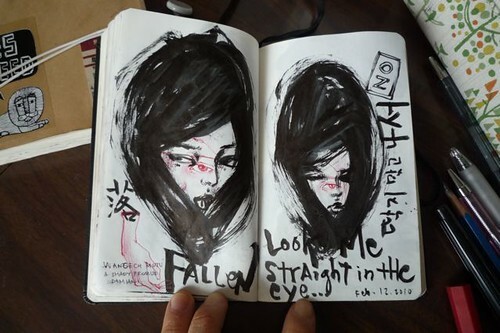 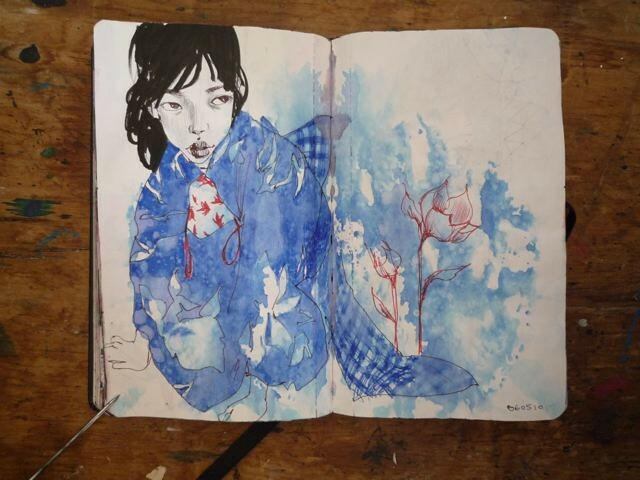 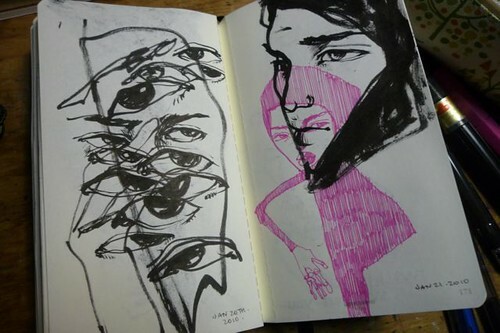 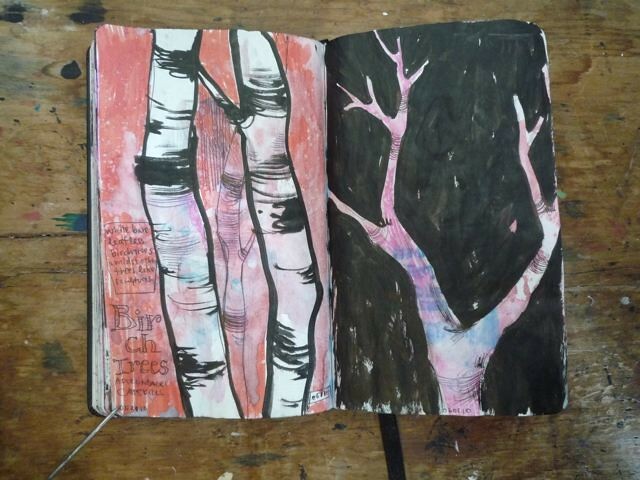 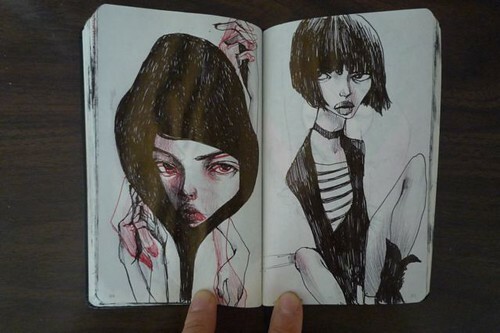 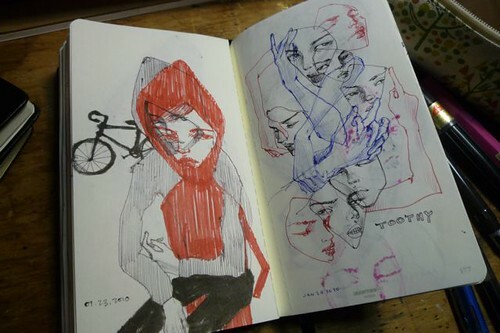 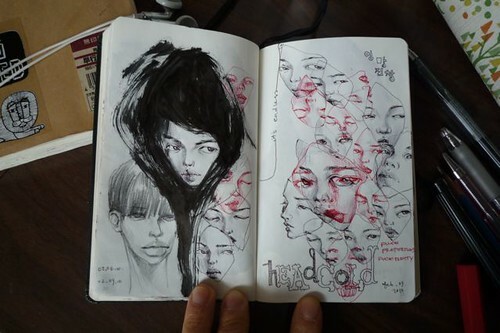 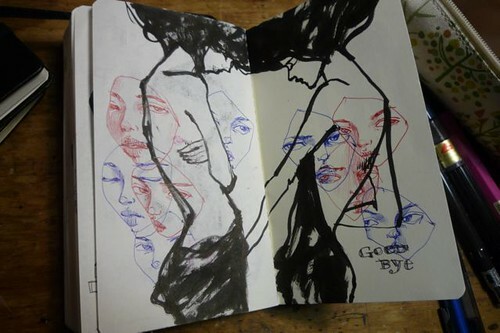 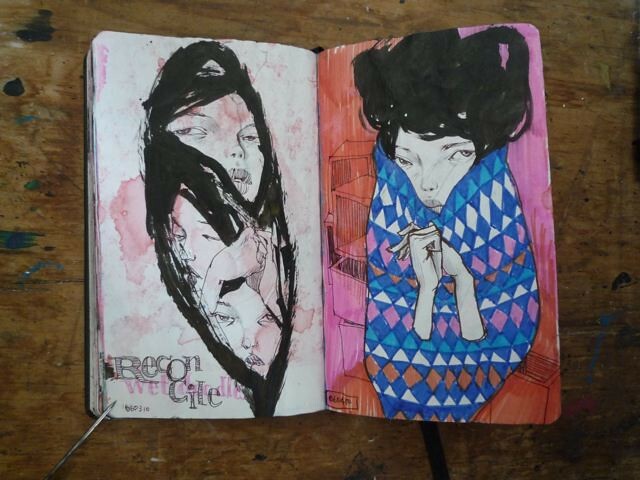 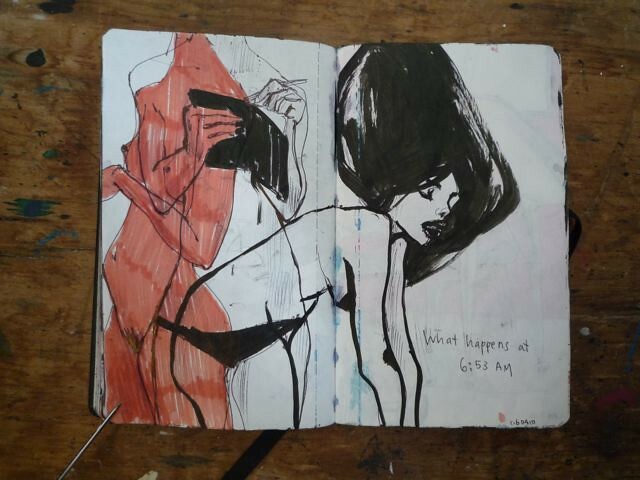 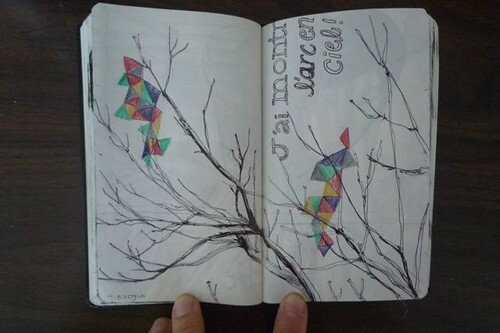 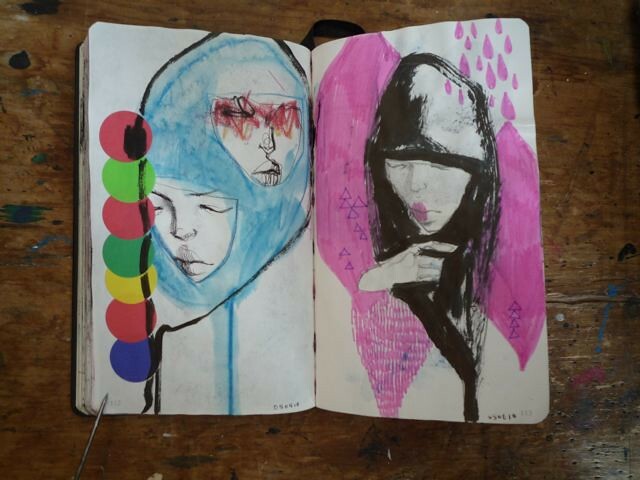 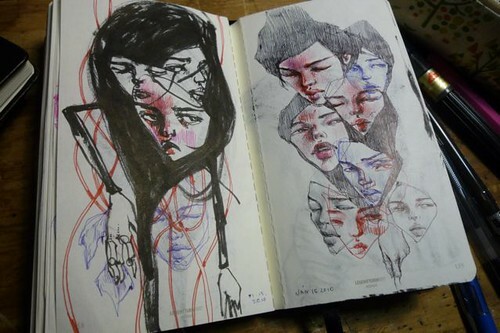 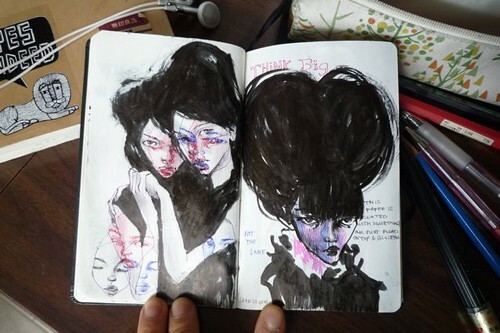 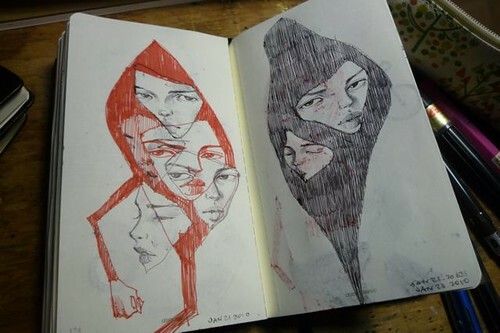 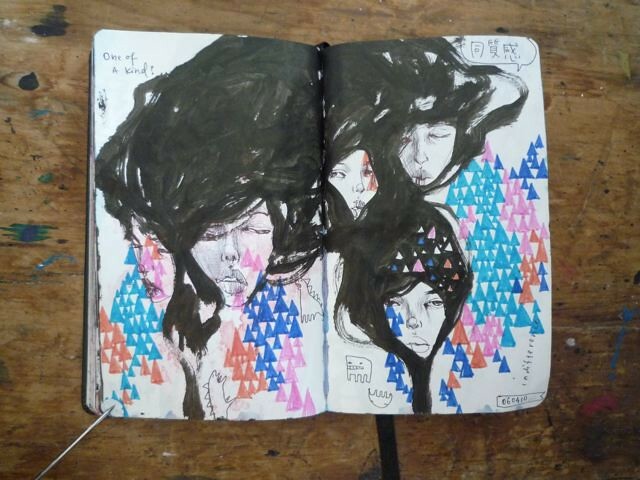 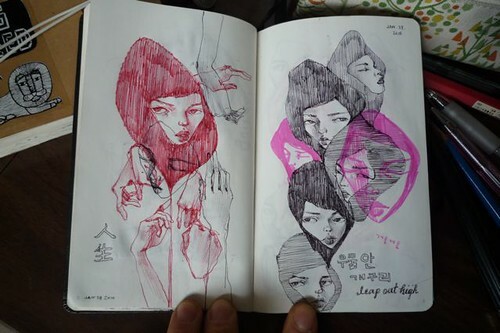 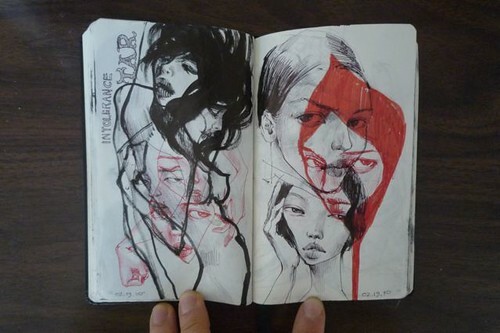 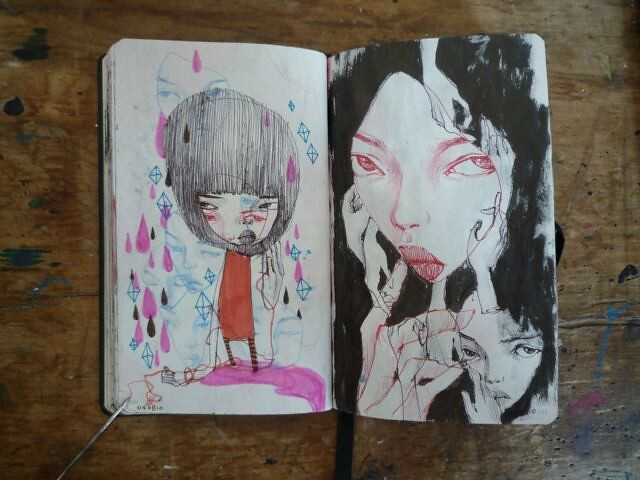 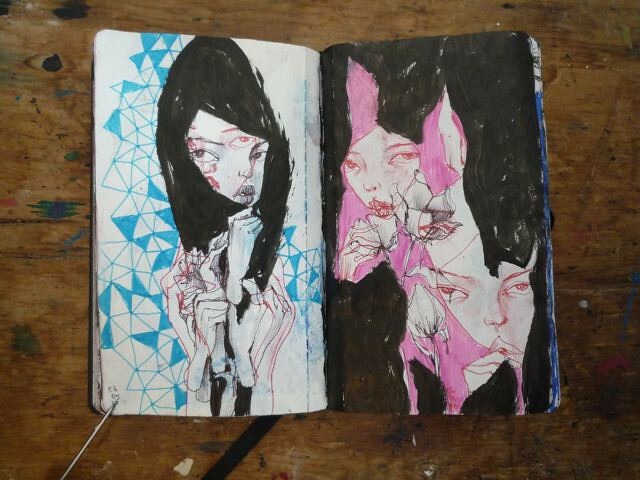 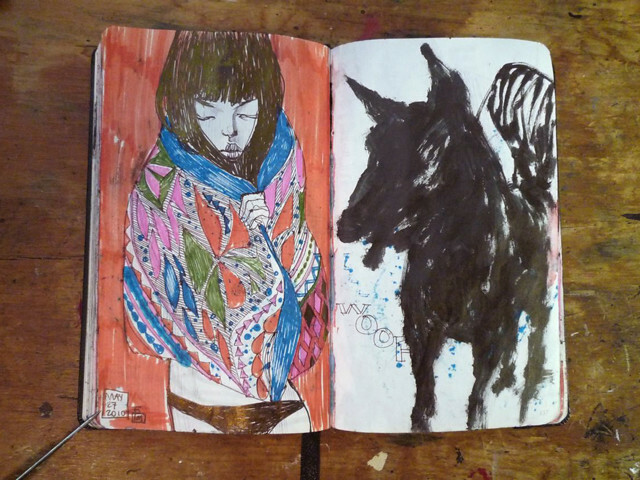 2010.
now i've moved on to new sketchbooks. 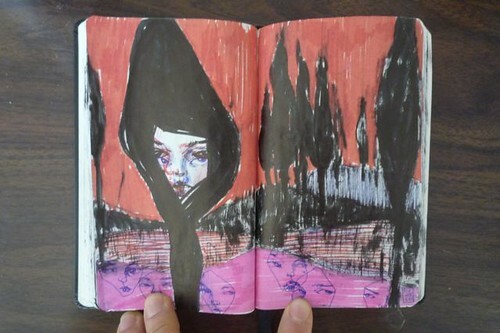 and a small land-scape format hand•book brand one as well. 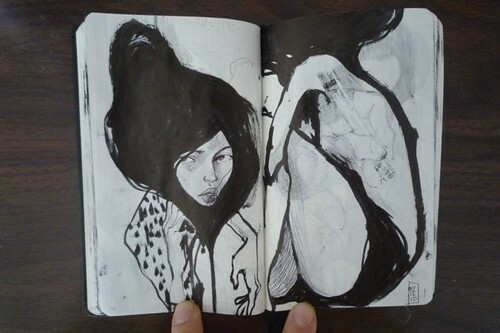 which i'm enjoying, but i may pare down to simple b/w again. 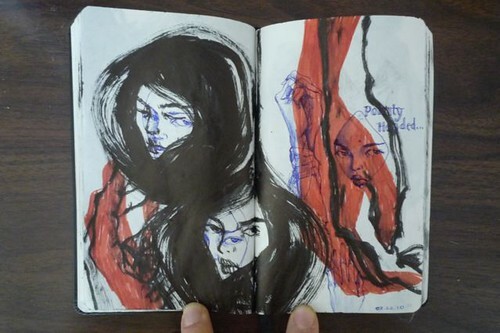 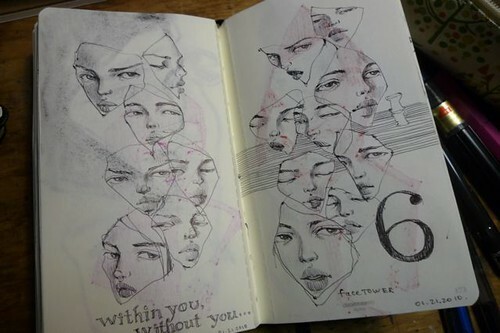 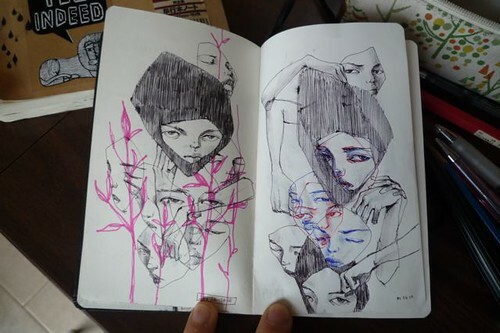 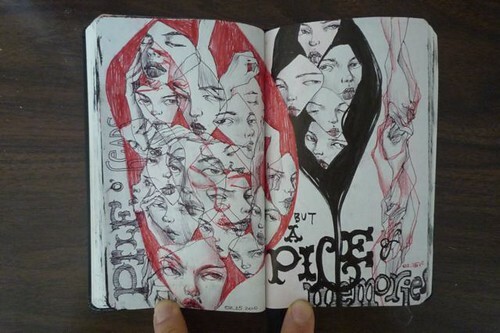 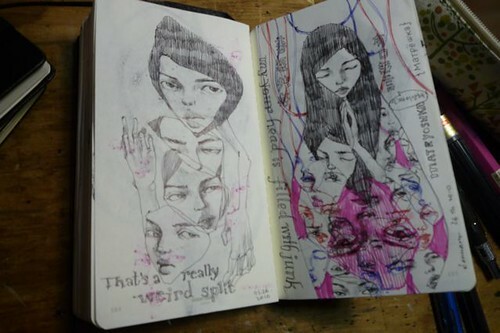 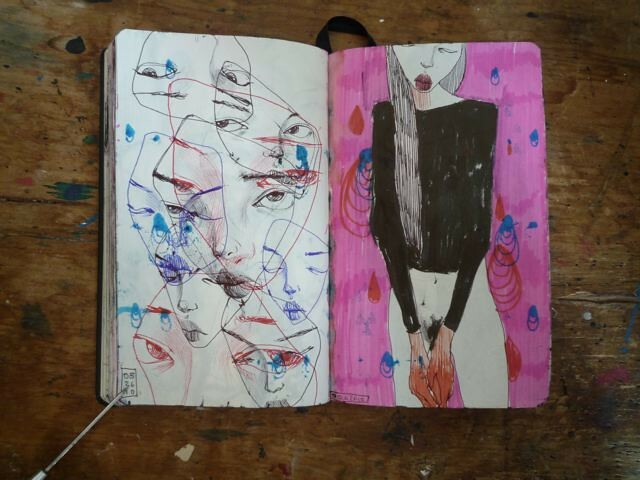 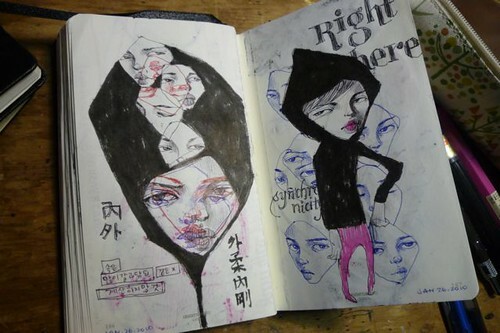 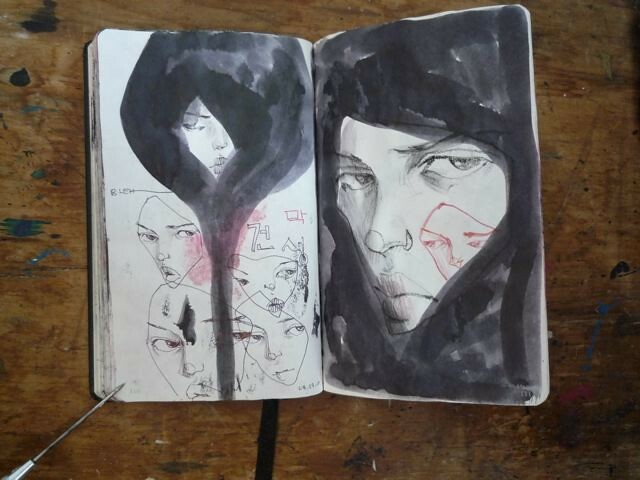 here's part 1 of a belated update of my old sketchbook pages and the last of it. 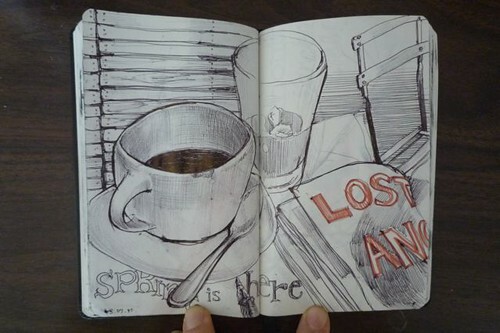 picking up where i left off in march... yikes! 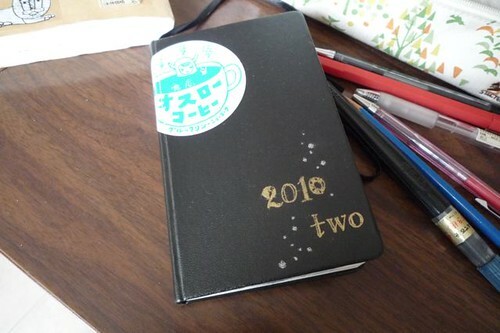 part 2 is coming soon, which will finish this book. 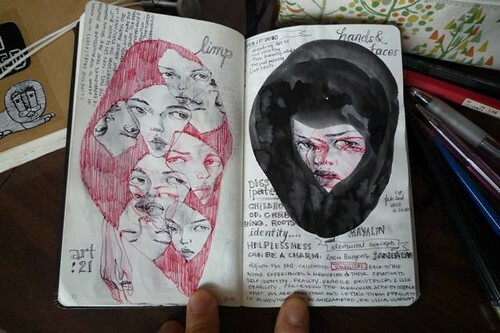 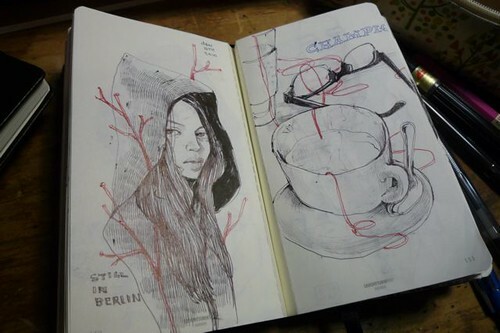 i've been sketching in sporadic consistency (if that makes sense) in my 2nd leuchtturm sketchbook. 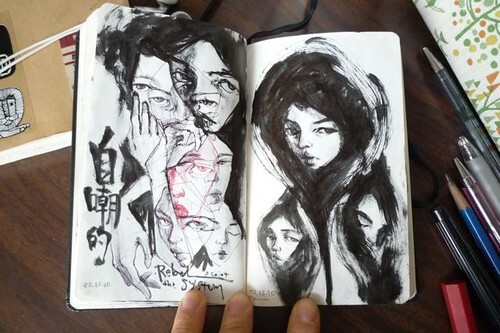 which, for me, is better for sketching/drawing sans any paint. 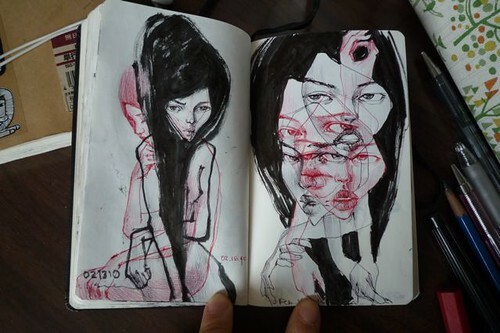 if these seem redundant, that's because my thoughts have been overlapping lately. 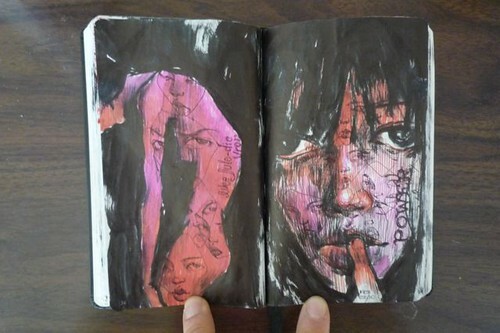 all ballpoint pen & brush pen in leuchtturm sketchbook. 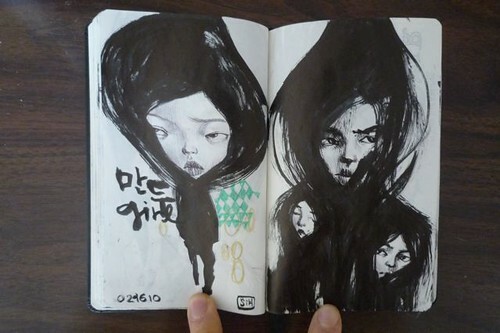 ©2010. 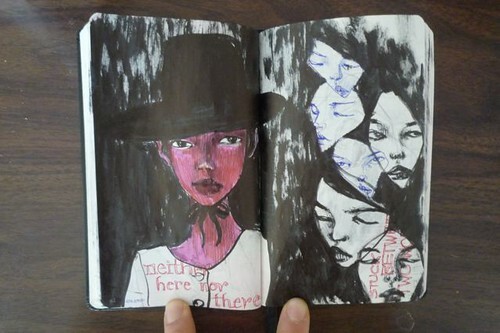 more pages here, here, and here. 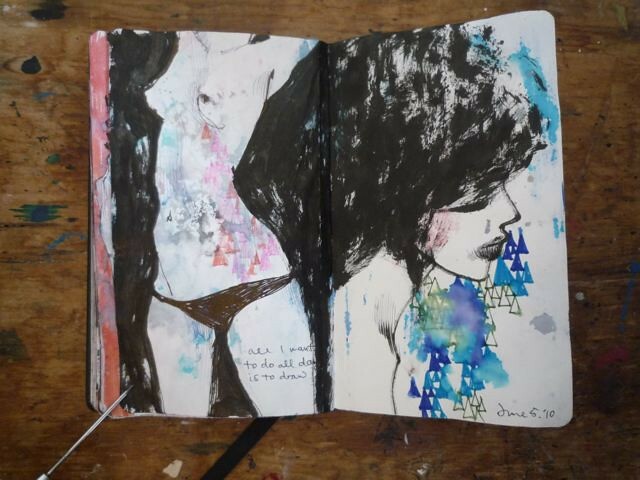 finished my sketchbook (right) today and started a new one! 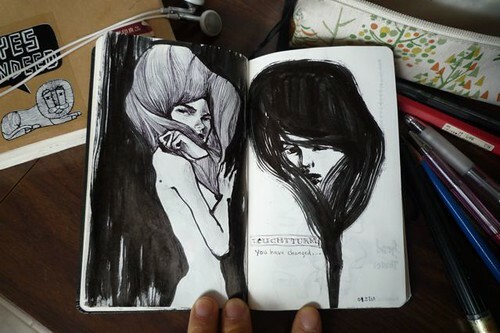 though i decided to be braver. 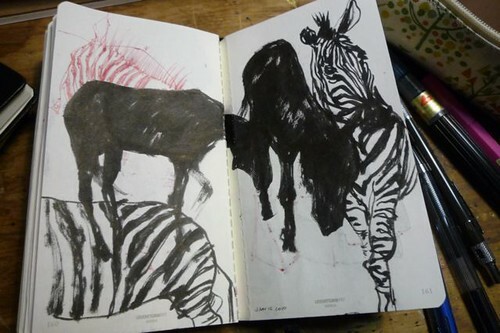 onto its proper sketchbook section on my website... soon! 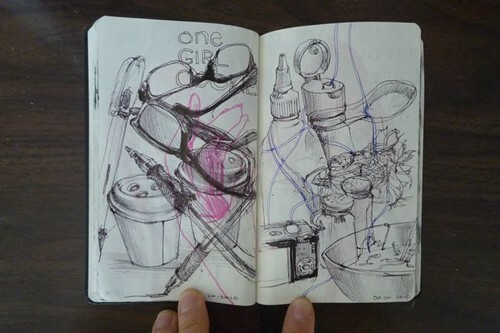 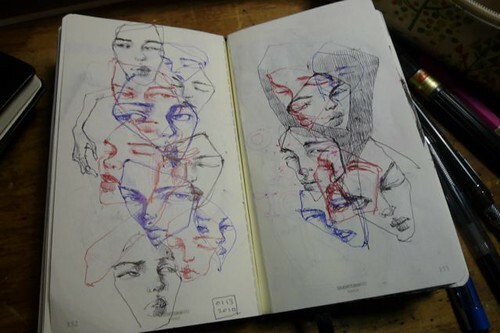 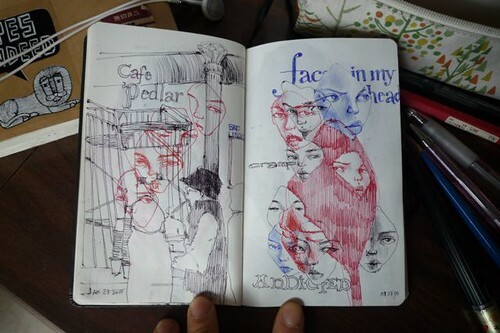 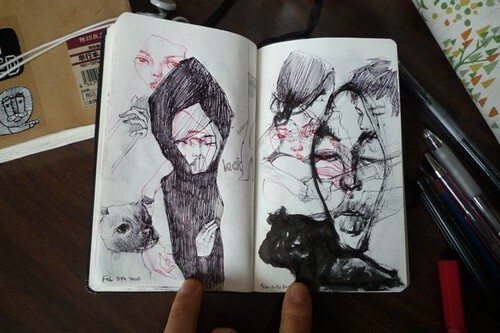 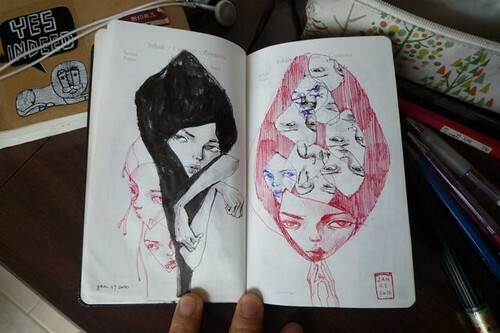 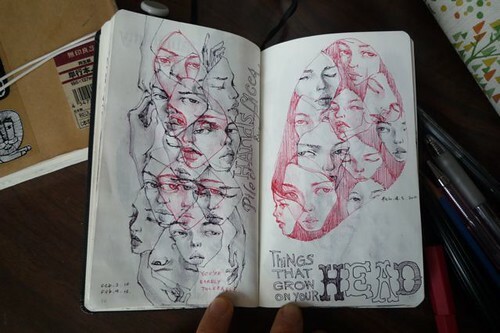 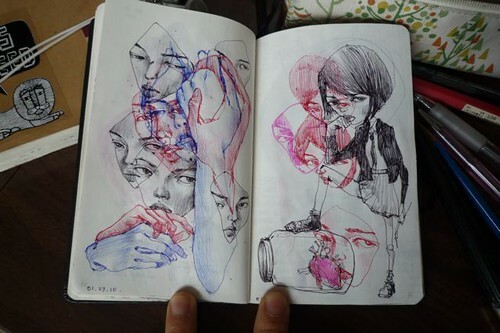 all ballpoint pen & ink in leuchtturm sketchbook. 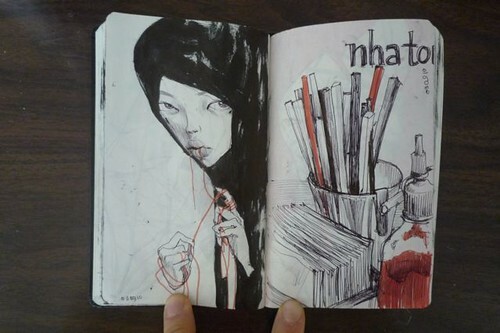 + previous pages of the sketchbook here and here. 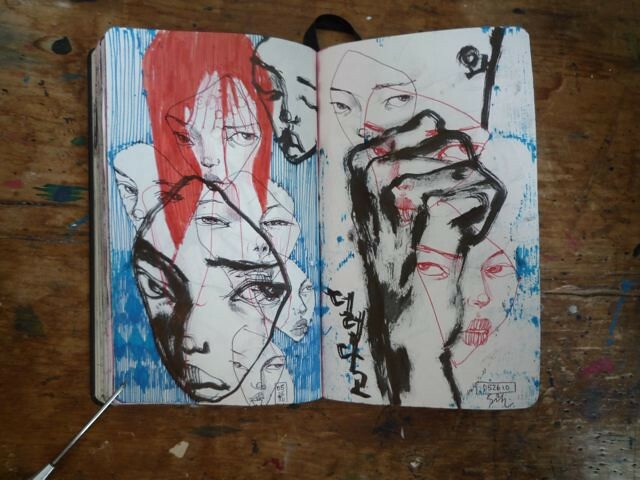 some more sketchbook pages i've been filling since my last sketch post. 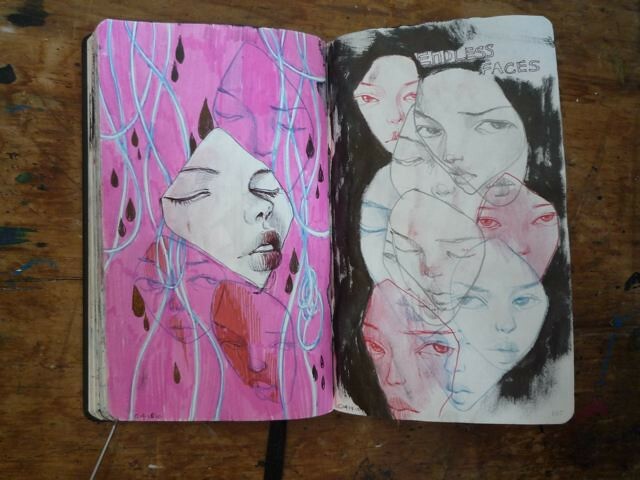 i've been addicted to filling my sketchbook lately. 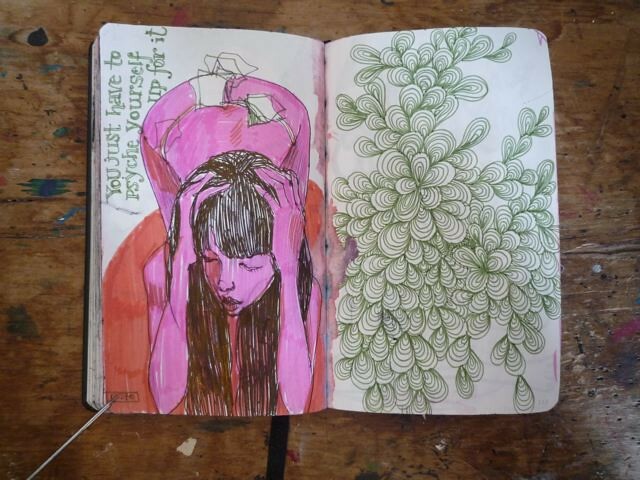 & loosen up as much as possible. 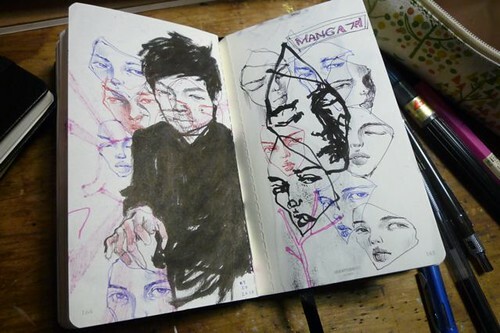 i feel like i'm starting to loosen up a bit. 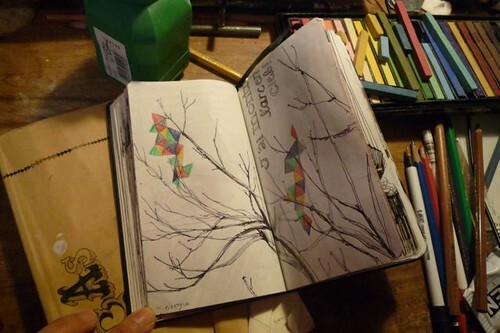 can't wait to go craazzzzy! 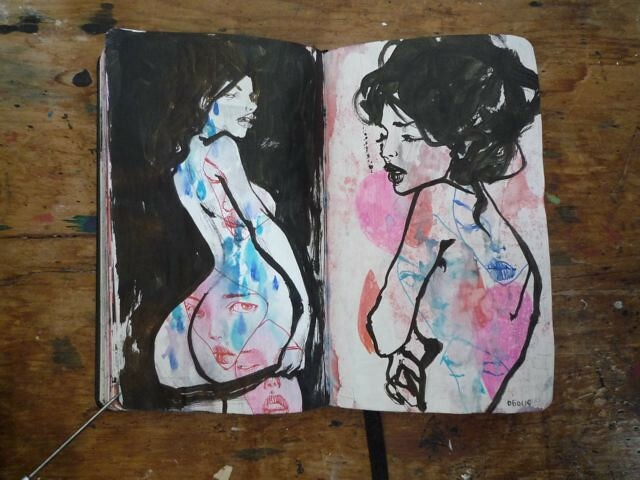 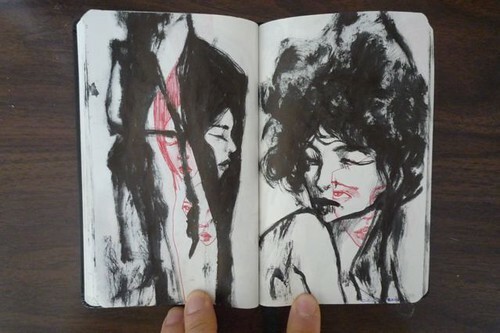 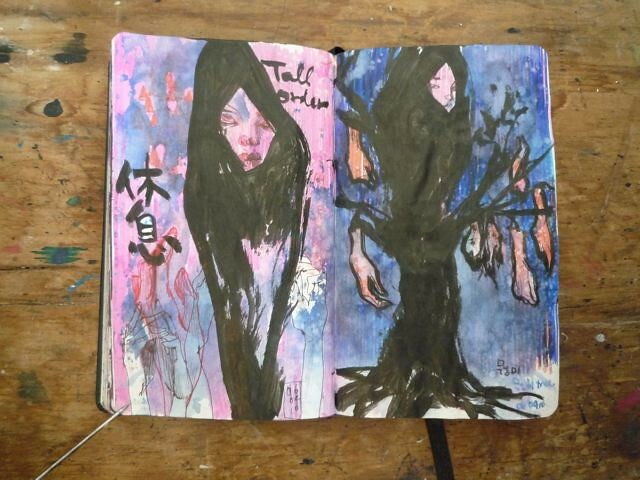 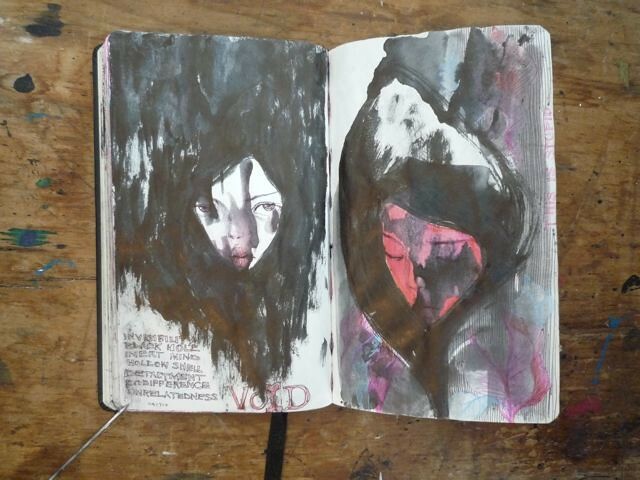 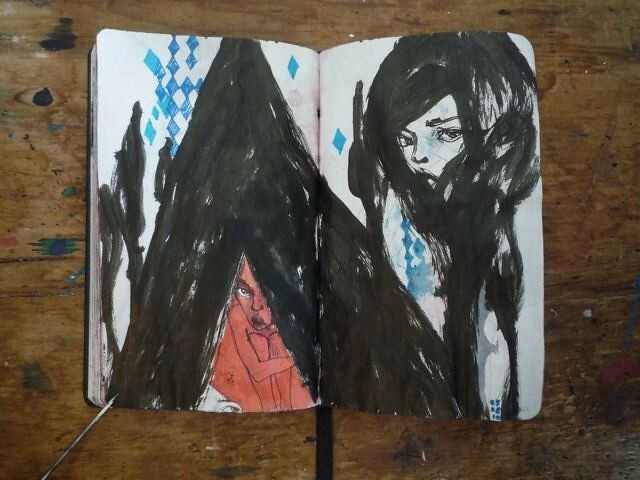 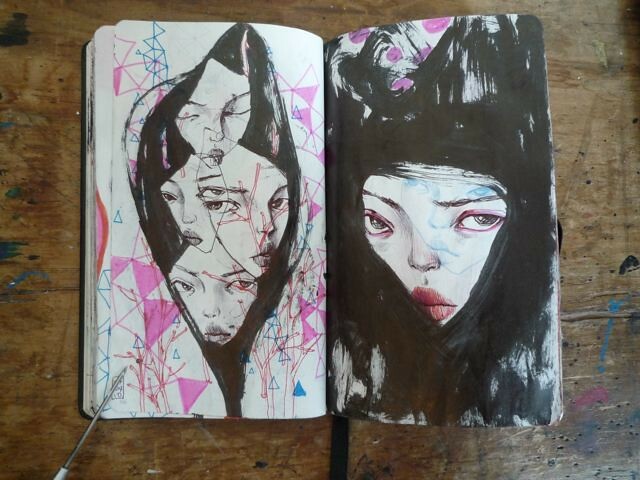 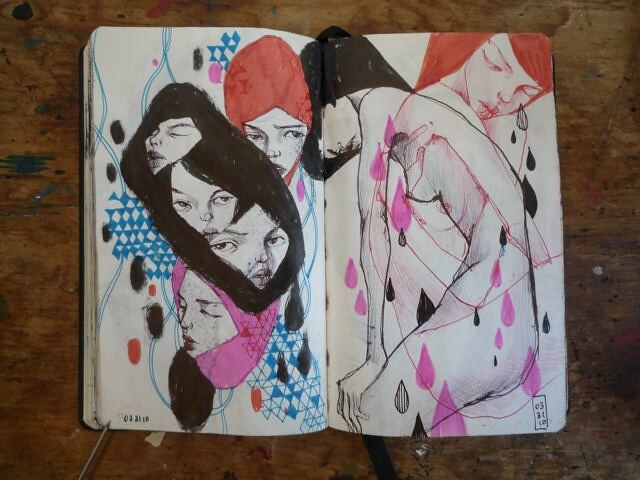 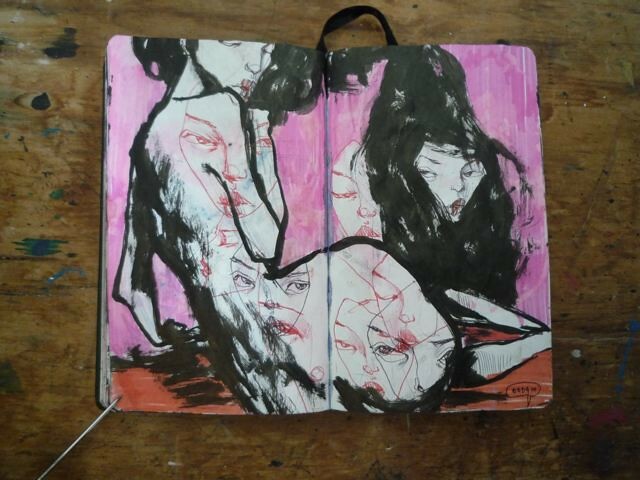 i'll post a few new pages from my moleskine (more paint laden) soon. 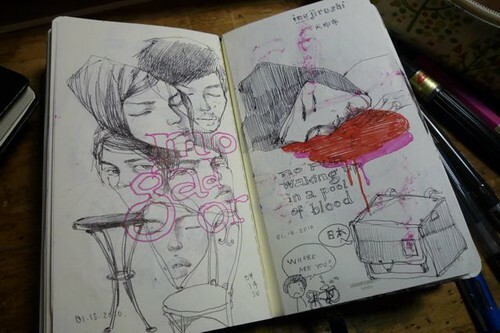 a big photodump of recent sketchbook pages. 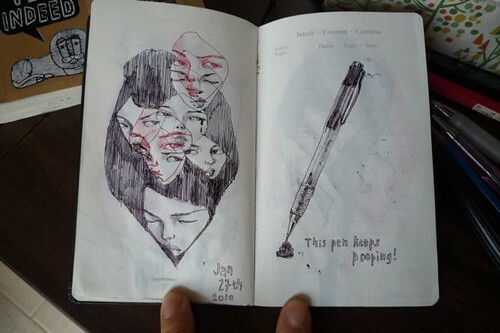 i've been making an effort to draw something everyday. 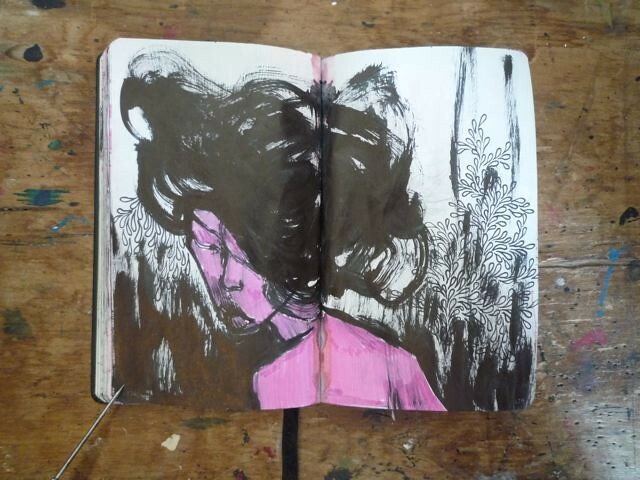 ballpoint & brush pen, leuchtturm sketchbook.